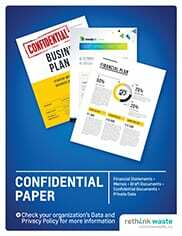 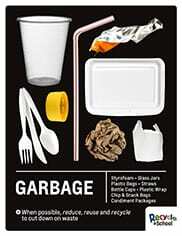 We are excited to provide these free downloadable signs for use at your office, school or business. 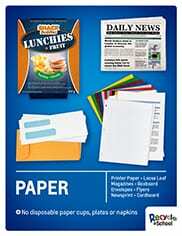 Print the 8.5″ x 11″ signs using card stock on a regular inkjet or laser printer. 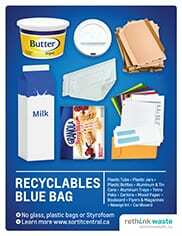 We recommend laminating your signs to add durability. 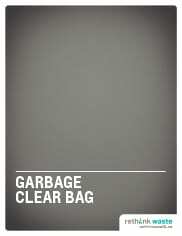 “Blank signs” can be customized for your location. Use the PDF as a background and add images using a graphics program, or print the sign and attach images or sample waste items to the sign. 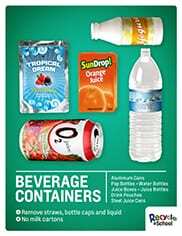 Ready-to-serve beverage containers on which a deposit was paid, can be returned to a Green Depot for a refund. 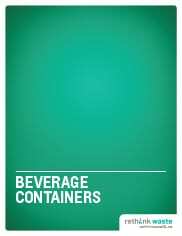 Choose the sign below that best represents the beverage containers at your location. 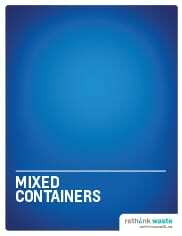 Mixed containers are accepted in blue bags in areas where curbside recycling programs are available. 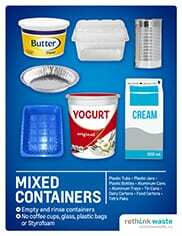 Choose the sign below that best represents the mixed containers at your location. 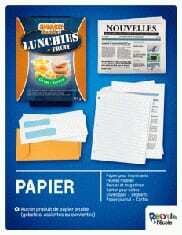 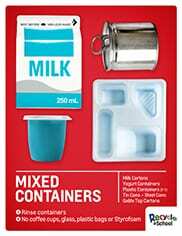 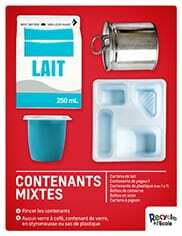 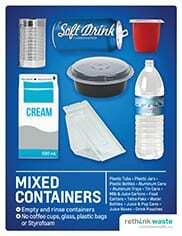 Recommended for lunchrooms where beverage containers are collected with mixed recyclables. 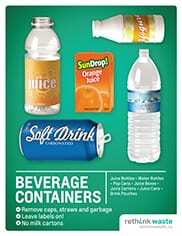 Recommended for lunchrooms where beverage containers are collected separate from mixed recyclables. 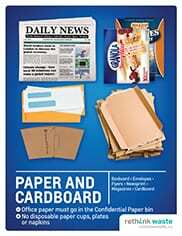 Paper and Cardboard are accepted in blue bags in areas where curbside recycling programs are available. 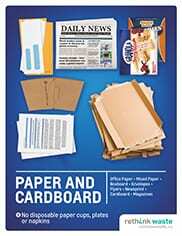 Choose the sign below that best represents the paper products at your location. 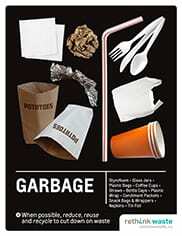 These signs support Sort-it Central’s two-stream recycling and garbage program. Choose one of the following signs to place above your bin for mixed recyclables or bin for regular garbage. 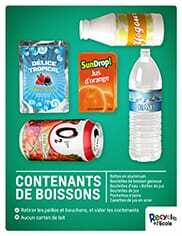 Use this sign where beverage containers are collected separate from mixed recyclables. 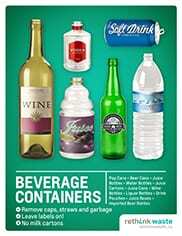 Use this sign above where beverage containers are collected with mixed recyclables. 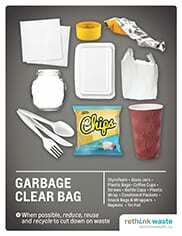 These signs support Sort-it Western’s two-stream recycling and garbage program. 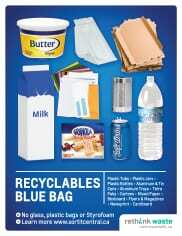 Choose one of the following signs to place above your bin for mixed recyclables or bin for regular garbage. 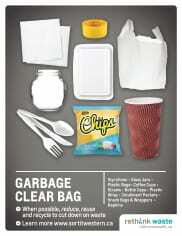 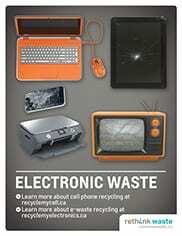 Some waste materials cannot be reused or recycled. 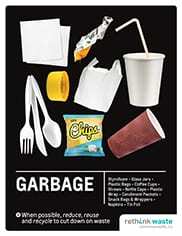 Choose the sign below that best represents the waste items at your location. 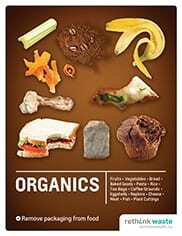 Organic waste represents as much as 30 per cent of the waste generated in the province. Choose the sign below that best represents the organic waste at your location. 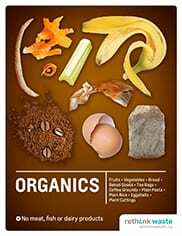 Recommended for lunchrooms that use backyard compost bins. 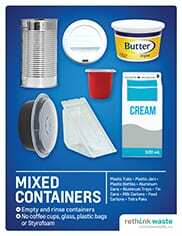 Recommended for lunchrooms that use in-vessel composting or collection services. 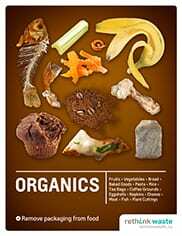 Recommended for food and beverage establishments that use backyard compost bins. 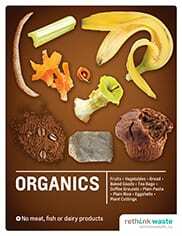 Recommended for food and beverage establishments that use in-vessel composting or collection services. 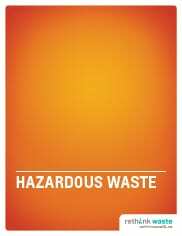 Many hazardous products can be avoided entirely or replaced with less harmful substitutes. 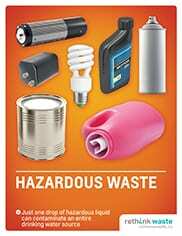 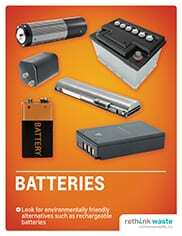 If you can’t avoid using some hazardous products, safe disposal is very important. 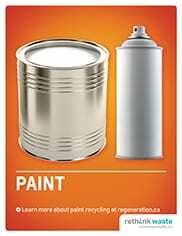 Use the signs below to give staff a safe option for disposal of hazardous products.